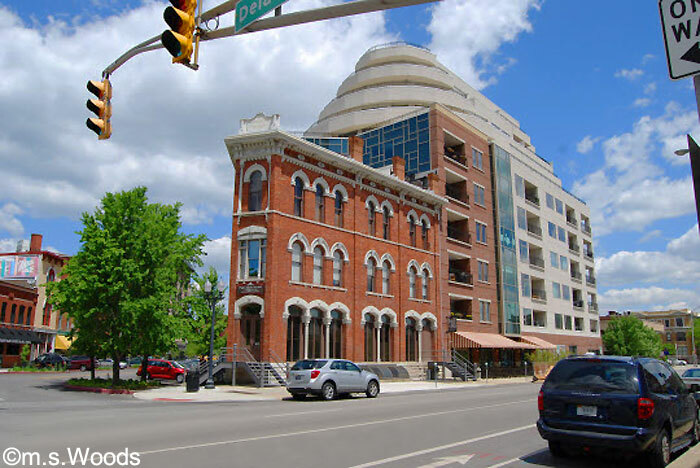 In the ever-popular Mass Ave cultural district awaits an oasis of style and luxury known as 333 Mass Ave., or simply "Three Mass Ave." You'll enjoy spectacular views of downtown Indianapolis from the comfort of your state-of-the-art condo. 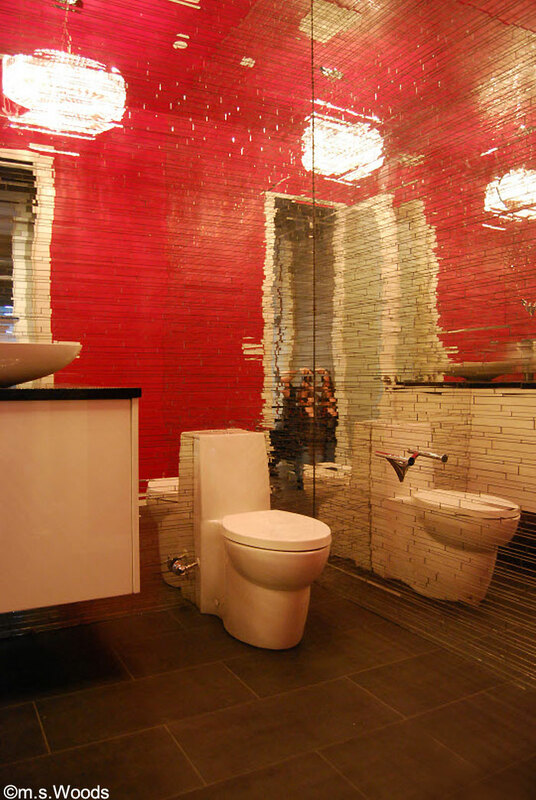 These contemporary units come with high-end finishes, like high ceilings, rich hardwood floors (entryway, kitchen, living and dining room), Kohler's plumbing fixtures, high-end cabinetry, stainless steel appliances, granite counters, and European tile in the bathrooms. Choose from a gas fireplace, gas range or gas grill hookup. 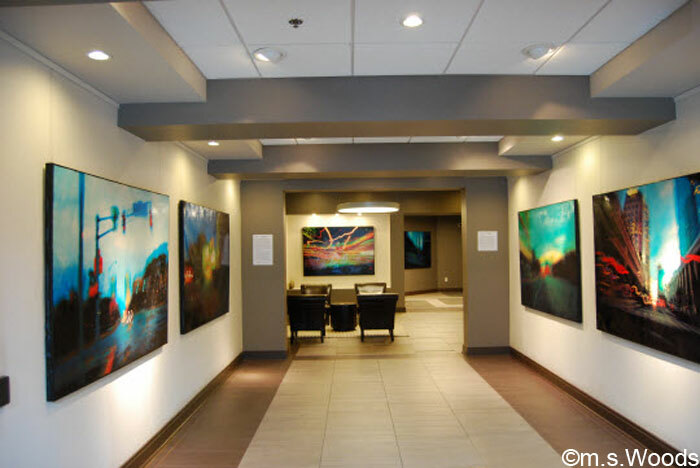 Large prints flank the walls leading up to the luxurious lobby. 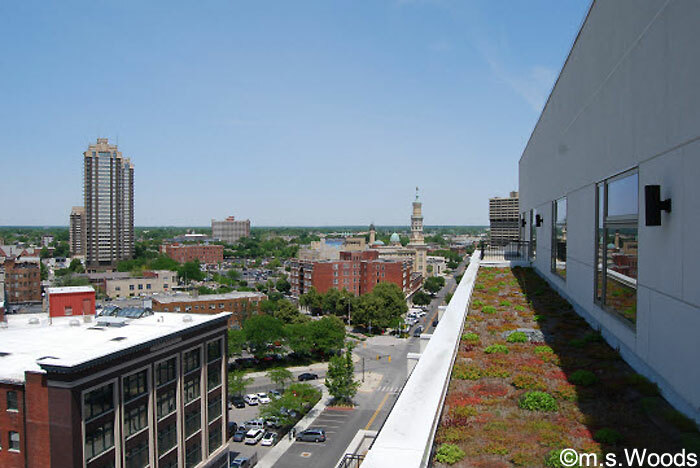 Other common features include access to a beautiful–and innovative–green roof, which functions as a private park for residents. 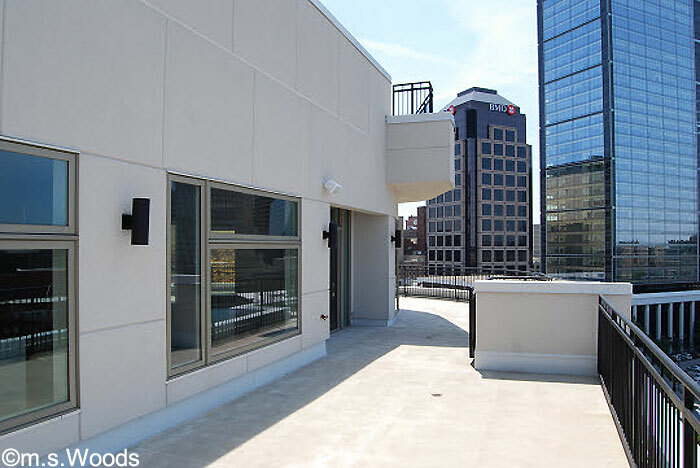 Not only is the patio spacious, but it offers great views of the downtown skyline. This is especially nice when the 4th of July fireworks celebration takes place. 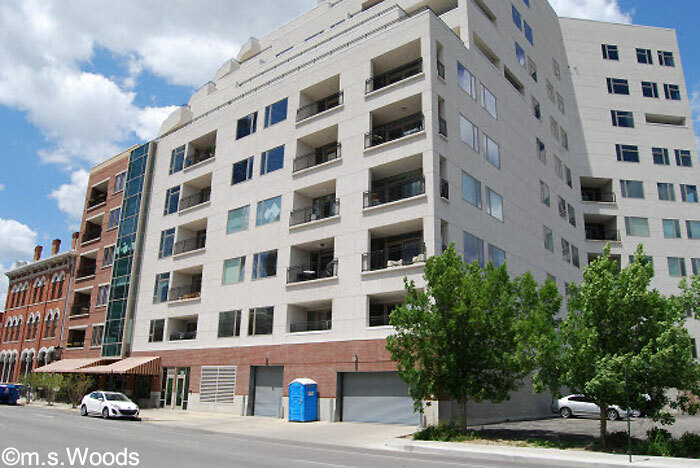 In addition, all residents have access to a fitness center, storage units and more. 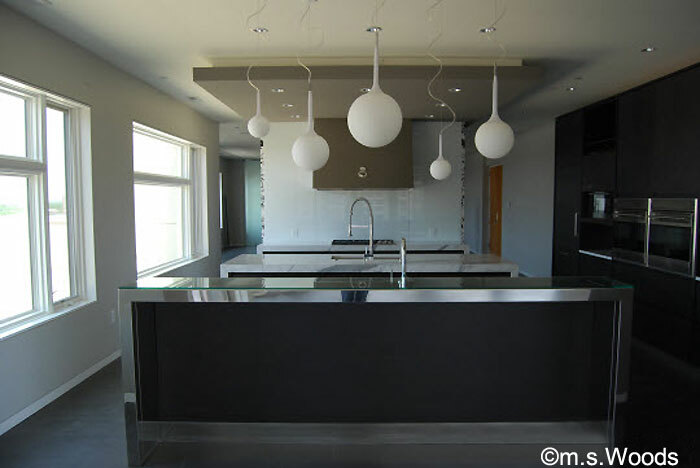 High-end kitchens like this are typical for condos units at 333 Mass Ave. 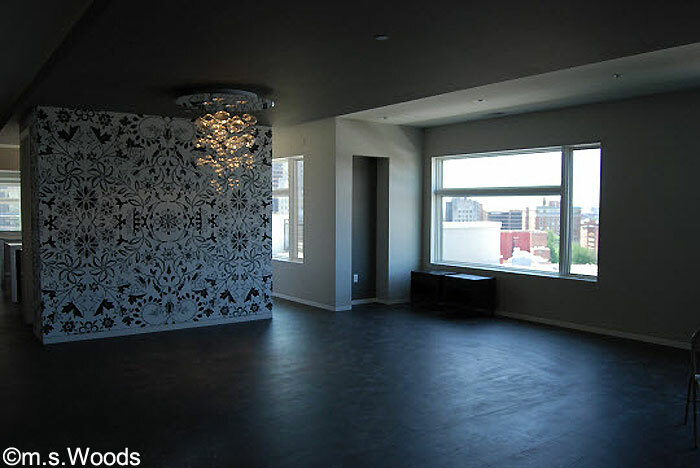 The units feature spacious living rooms with awesome views of downtown Indianapolis. The master suites are spacious, and feature large walk-in closets.